Once Halloween has come and gone, we are often left with a surplus of stuff. 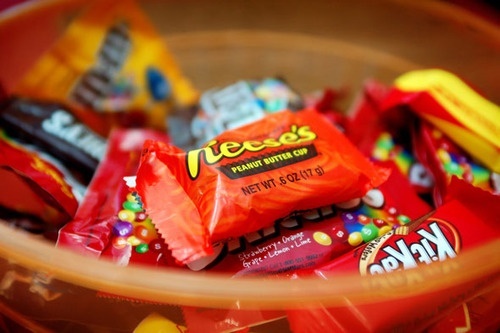 Although we may want to keep our costume for another year or snack on the candy until Thanksgiving, there are many options for the items we are ready to pass on. Pumpkins can be composted or broken into chunks and spread out in your yard or a lush plant area for furry friends. Some zoos will accept pumpkins and feed them to the animals as a seasonal treat, call your local zoo to see if they are interested! Donate extra candy to Operation Shoebox, a Florida based nonprofit, that sends donated candy to our troops. Along the same lines, Operation Gratitude is a program where dentist collect leftover candy in exchange for toothbrushes etc. and then send the candy to our troops. Freeze it, bake it (chocolate candy) into cookies or treats, or save some for Christmas to decorate gingerbread houses. Donate kids costumes to charities like the Children’s Miracle Network or Halloween Helpers which places them with kiddos in need! Also, local middle schools, high schools or art/theater groups may be interested in adult costumes. Sell them on Amazon, Ebay, Craigslist or Facebook. Organize a costume swap- great for kids costumes- with your friends or an organization you’re involved in. It’s a fun and free way to get costumes for next year and let go of the ones they just wore! Many nonprofits, charities, and homeless shelters put on events for their patrons during holidays and would be happy to accept Halloween decorations. Check with the organizations around you and help others have a spooky celebration in style!